Although I didn’t see any tweets from anyone supporting the bombers, on this occasion I would expect them to agree with me. The “dissidents” get absolutely furious about the hypocrisy of Sinn Fein and their rewriting of history to pretend they were murdering for equality rather than a united Ireland. Kevin Hannaway, Gerry Adams’s estranged first cousin, one-time adjutant general of the Provisional IRA and number two to McGuinness, enlarged on this in 2013, four years after his old boss – in the words of the 32CSM – was “standing at Stormont, under the British flag, as a minister of the British crown, calling IRA volunteers ‘traitors’ for continuing to resist British occupation”. Mr Hannaway is one of many true believers interviewed by political scientist Dr Marisa McGlinchey, whose invaluable Unfinished Business: The Politics of ‘Dissident’ Irish Republicanism is about to be launched. That there are quotation marks around “dissident” is for the simple reason that those so classified are not in fact dissidents. As she explains, “given that non-mainstream Republicans have not altered the Republican beliefs which they have continually held, and given the ‘living link’ to the pre-peace process period (and in fact to the pre-1969 period),” she mostly uses terms such as “non-mainstream” and “radical republican”. 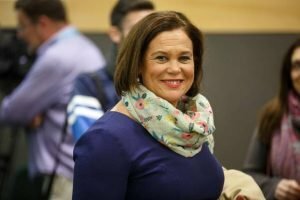 Having subscribed for years to the view that the fringe are the true believers and the mainstream the dissenters, I agree with her completely, but I don’t think there’s much chance that her labels will stick, for Sinn Fein has done such a brilliant job of lying about history that they have gulled people into believing they are the true heirs of 1916 and the so-called dissidents are fanatical crackpots. They are indeed, but so in my view were the 1916 leaders and every proponent of physical force since then, including the Provisionals, who ruined thousands of lives over decades until the security forces defeated them and the political wind changed. If you accept the Proclamation of the Irish Republic as dogma, it is perfectly logical to fight on. Yet, as Dr McGlinchey points out, this does not mean that there is a homogenous group who agree about tactics or even about the kind of Ireland they want. Many of them think armed struggle is pointless in present circumstances. The Derry bomb, planted by the New IRA, was deliberately timed to coincide with the anniversary of Soloheadbeg, but many other non-mainstream groups won’t be cheering at this turning up of the temperature. Through attending their commemorations and public meetings, bothering to get to know individuals, and winning their confidence, Dr McGlinchey was able to conduct frank interviews with dozens of members from the alphabet soup (RSF, 32CSM, RNU, RSM, IRSP, CIRA and RIRA) as well as Eirigi and a scatter of independents that make up radical republicanism and disentangle similarities and differences. Apart from loathing Sinn Fein for its authoritarianism and suspecting it’s run by informers, they all reject the consent principle (that a united Ireland can be attained only through democratic means), because the right to use violence, in her words, is “the ideological rock upon which republicanism has rested”, they keep the flame alive for the next generation and agree with Patrick Pearse that “Ireland unfree shall never be at peace”. The Irish State still legitimates 1916 retrospectively, and Sinn Fein still honours all IRA terrorists up until 1998. Last week, Mary Lou McDonald was celebrating the murderers of Soloheadbeg and on Derry City Council, although Sinn Fein voted to “oppose recent attacks carried out in the city” and to “call on those responsible to stop these actions immediately”, along with independent republican councillors they rejected an amendment saying the council was sending out “a clear and unambiguous message that violence is wrong whether that be carried out by the state or those opposed to the state past or present, and that it must be condemned”.